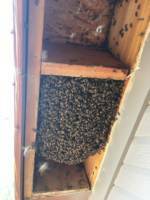 Bee Rescue specializes in advanced structural bee removals and extractions in buildings and trees. Our team has combined experience of 7 yrs bee keeping experience and 25 yrs construction experience. The bees we rescue are reintroduced with local bee keepers. 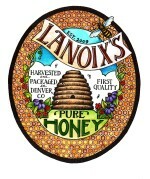 Honey Extraction- $1 per frame with $10.00 minimum. Bring your own bucket (or your bottles for a small surcharge). Bottles available for purchase too.